Have you always wanted to knit, but never knew where to start? 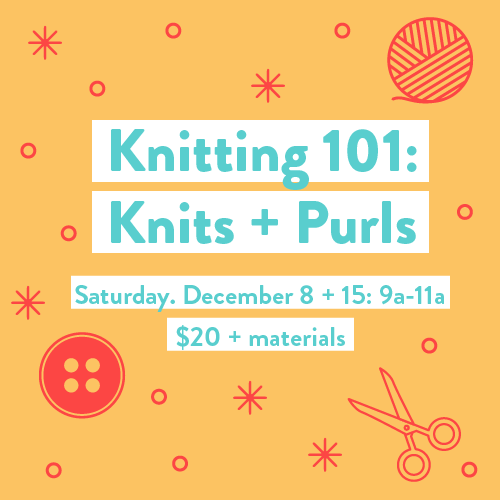 This two-part class will teach you the basics, including knitting, purling, casting on, and binding off. Learn the basics, then try out your skills by making a washcloth, coffee cozy, headband, or small scarf No experience necessary.